The Gefira financial bulletin is a monthly periodical that the Gefira team releases ten times a year. We give a clear projection of the future of energy and politics.From Trump’s election to the steep incline in oil price and the value of bitcoin, it was all in the Gefira before it happened. 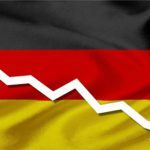 According to the Gefira team, the next systemic crisis will happen around 2020 as the oil price is back at 100 dollar and German mass retirement begin. There is a high risk of war on the Old Continent. However, it is not Russia but Turkey that is the most prominent threat. It is not the emerging markets, nor public or private debt that should be of interest to investors but instead the shrinking populations in the developed world. Japan is the first country that experiences a declining people, and for that reason, it pursued extraordinary monetary and fiscal policies. The decrease in the European and US population will have dire economic consequence, and after 2025 China will join the club of dying nations. Apart from China and Russia, economic growth in Africa, the Middle East and South Asia is dependent on the developed countries which see a dramatic decline in their populations. In the Gefira bulletin we provide investment suggestions and give a coherent vision of the time ahead from a macroeconomic perspective. The Gefira Financial Bulletin is a confidential briefing paper on the current economic events for investors and generally the business community. It is accompanied by our website, where you will find articles on social issues. The Gefira research team is the only one that is acutely aware of the importance of the current unprecedented demographic changes not seen before in all of history. This is clearly why Germany insists on mass immigration. Germany and its interests dominate EU thinking and policy – they are a founding member, have the largest number of MEPs and without Britain are the only net contributor to the EU budget. Compare their situation to Hungary or Poland that are dead against it (or Britain with its chronic overcrowding and housing shortage). The German aristocracy requires livestock for their tenements and arms factories, be damned if those “refugees” never integrate (and they won’t), if the long history of Turk Muslims in Germany is anything to go by. There is however, some semblance of method in the madness of the treacherous, ruling German elitist class. “Count” Richard Coudenhove von Kalergi’s genocidal screed “Practical Idealism” 1923 in PDF format (link below) is the original Austrian NAZI and his vile tome makes Onkel Adolf’s “Mein Kampf” look like a bedtime story. This “genuis” laid the foundations for the abomination known as the EUSSR with its capital in Brussels, Natostan, province of the anglozionazi empire of eternal war. The article is NONSENSE, claptrap, arrogance and myopia at its worst. “Growth” …. What the hell does the author mean by it? Not a word about quality of life or historical evidence. Not a word about enhanced efficiencies. Not a word about sustainability of the current population without massive imports of raw materials just to maintain the current population. The only use I can see for this would be for instructional purposes to demonstrate the current era’s flirtation with arguments full of fallacies, unbalanced formulas, and dogma. Dear Mr Brown. Growth is the only parameter that matters in modern politics and economics. Without Growth, the western societies will come crashing down, unless we are governed by competent and bold leaders who put the interest of their community in the first place. We are sorry to inform you; there is no leadership in Europe anymore. We even dare to say Europe is not governed at all. Germany does not need 80 million people. Why? Future scenarios will be very different from the old eternal growth in consuming. WE the people need to define what we really want! More cars? More TV sets? More furnitures? More silly stupid junk stuff? Its time for a reset in thinking, what life really means. Thats the main problem. The european countries have a rich culture. Back to the roots. Develop the difference. WE don’t need one eurpean-mix-human-being. Thats Agenda 21 neofascist thinking and will not work. The population is growing due to migrants. German fertility is about 1.3 since 1970. The 60 million are native Germans the difference is due to population replacement. The German government is free to give 10 million Nigerians a German passport and call them Germans we do not buy it. For many decades now to have children in germany was not popular! Young people were told to go for career first. specially women were encouraged to go for career and maybe have children later. But its not only germanys problem! Japan is suffering already a very overaged population. Southern european countries are discouraged by very bad economical situations. in the EU there is no “harmony” at all. NO transnational initiatives for education i flexibility and language. German companies could invest in Spain or Italy or even Greece. Its still the arrogance of elites. 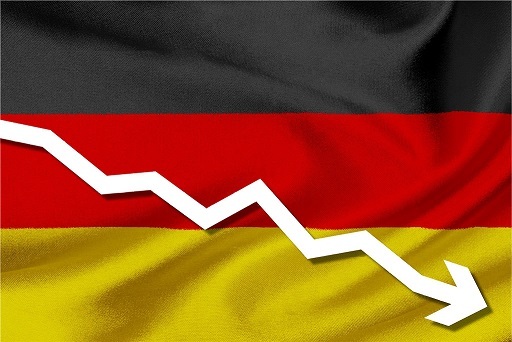 Germany first and others are the silly customers, who cannot pay for what they purchase. Therefor Germany is Export champion. Yet the balance will never be payed. There is NO union only Brussel bureaucracy dictating the money flow into corrupt ponzi schemes. The EU lost due to not bringing Europe together. No identity besides the national identities. And with the migration crisis this is even getting worse. I don’t see integration. Parallel societies with no-go areas are fact. Knife attacks are daily news! Young men from very underdeveloped countries with almost no education are lingering around with hope for quick money. How to get out of this? Thats the question. But with the existing political elite i have no hope. They live in a parallel universe of eternal flowing cash. First for them and then maybe for others. The financial sector as we have today is doomed. A reset is looming and a new currency basket needs to be installed. The current fiat money debt ponzi scheme is beyond imagination for ordinary people to comprehend. It serves th rich and the elites only. If we look at History we see that the large populations we see today and over the past 100 years are not necessary in order to have a highly active and creative society. Without taking a position we should be examining this question. As in the above is there not some path to indicate that Germany could be structure in such a way to be even more dynamic and creative than today with 40 million people given a median age of 27? Can we not question whether any economy can have high value creation with a median age of 50 years? The real problem will be mass over production with robots, but a decreasing consumer demand. Already car makers are making more cars than they can sell, dumping prices to clear parking lots before next model comes out, and when they can.t sell their cars, because people cant afford a car, when housing even for a 1 room apartment in main cities for students/low wage workers demand massive debts to buy, they now just lease a car, as if thats cheaper in the long run. Gee, if I had leased my 1999 Mazda demio / 207,000 km for the last 10 years, then it would have cost double what it cost in 1999 & still going good. )) $$. I Think some one predicted, that they would just produce and drive “stuff” straight to the rubish dump, to keep the factories going…!!! Essentially, ONLY fiat / fake money debt can allow this, with no debt limits, so WHY work at all, if Fed / ecb/ ect can just print money…. ? Is all this DEBT ever going to be REpaid…NO. Hmm..So the retiring “millionairs” with their massive houses need to sell to…WHO….?…. So…are they still looking for another PLANET to colonize ..? ?…..with WHO. thsi POST is Outdate.!!! recent investigations tell risen births rates (already in 2016 in 1.6 per mother in line to media european union), in 2018 is sure taht it will grow to 1.7-1.8…. recent analiziz put germany population growing (not decrasing), every year come to germany more than 600k new people and in the future will grow because climate change, etc.